One of our most popular products over the last few years is undoubtedly our white LED dance floor. Here at Solid State UK, we have been providing quality dance floors for a whole range of special occasions for nearly a decade and we know exactly how to create the WOW factor at any event. Our white LED dance floor is often booked for a wide range of different events; our clients include brides and grooms looking to create a stunning focal point on their big day along with some larger companies who often hire our dance floors for their corporate events. 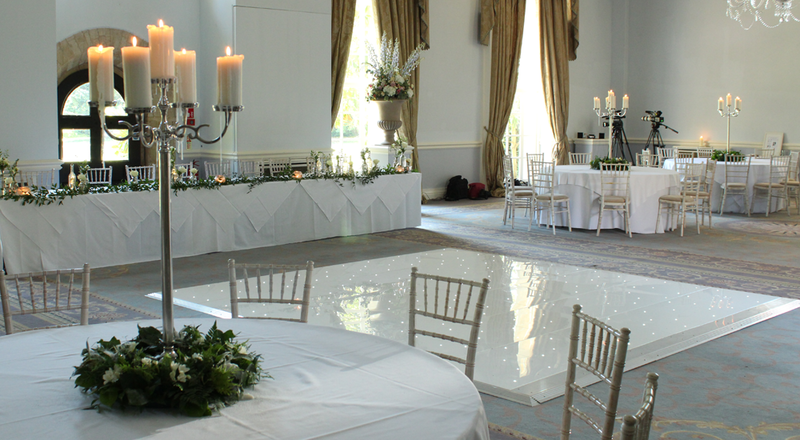 Our experienced team lay dance floors week in, week out so rest assured if you have a limited set up time. Our specialist team can install a 12ft x 12ft white LED dance floor in under 30 minutes. Our efficiency means we could complete an install during a quick room turn around at your next event. After every event all dance floor panels are stripped and individually cleaned and polished to ensure they look as stunning on their next event as they did on their very first! Are you interested in hiring our white LED dance floor for your wedding or event? All our dance floors are available to hire in Leicester and throughout the United Kingdom, including; Northampton, Coventry, Derby, Nottingham, Birmingham and London.